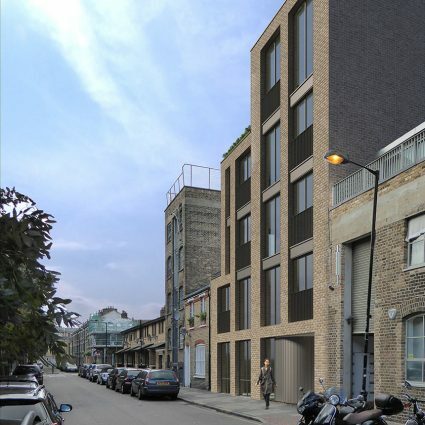 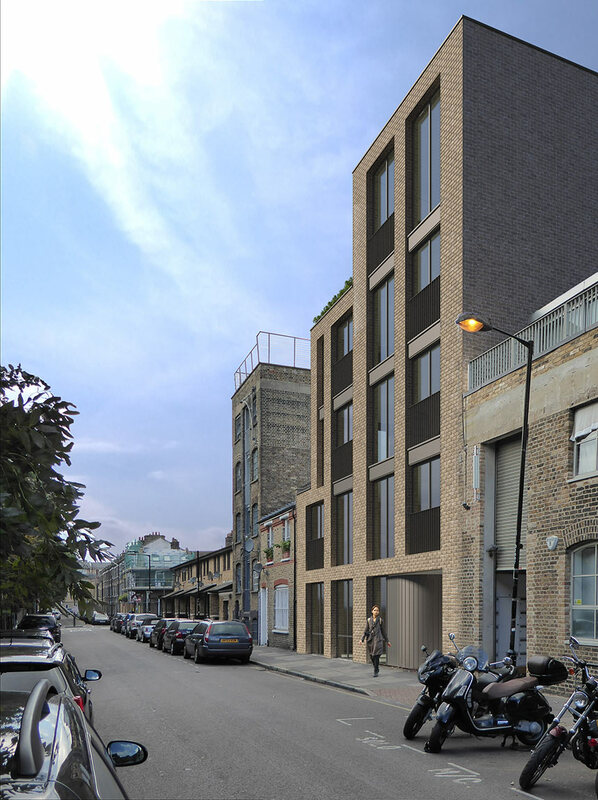 This infill site in Bethnal Green contrasts wide open views across Weavers Fields to the south with a tightly-packed mews to the north. 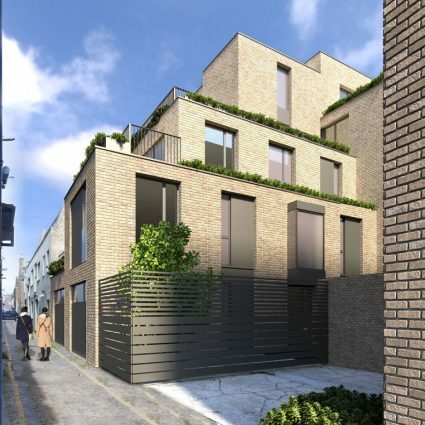 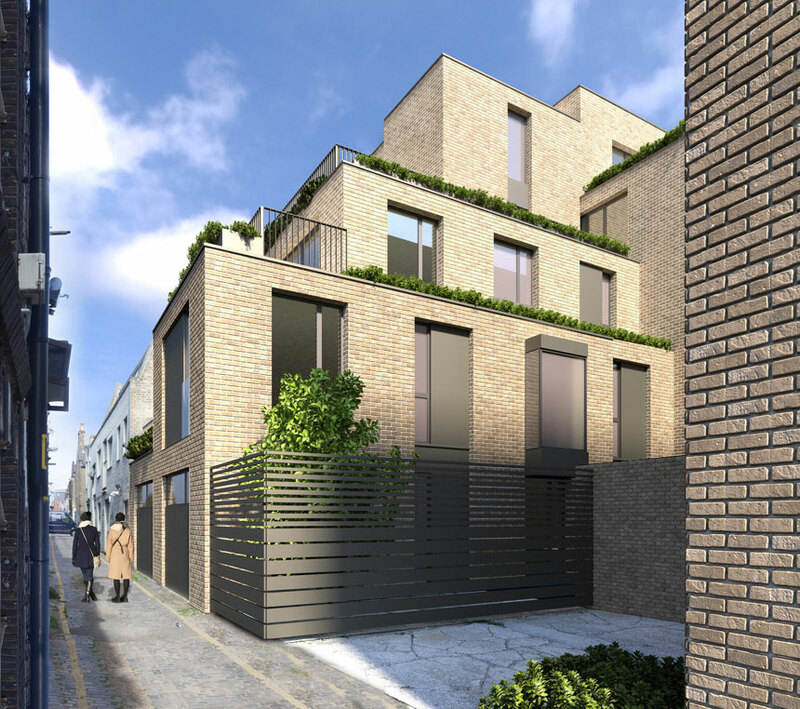 Our design responds to the language of local light-industrial and brick clad warehouse buildings, stacking eight loft-style apartments up against the park frontage and scaling down to the more intimate environment to the rear. 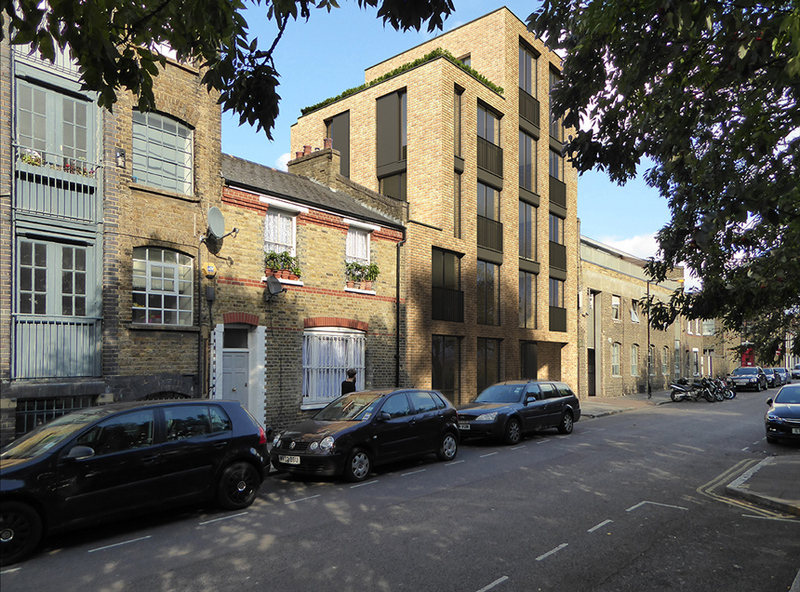 Full height openings set into deep brick reveals provide a sense of openness and permeability. 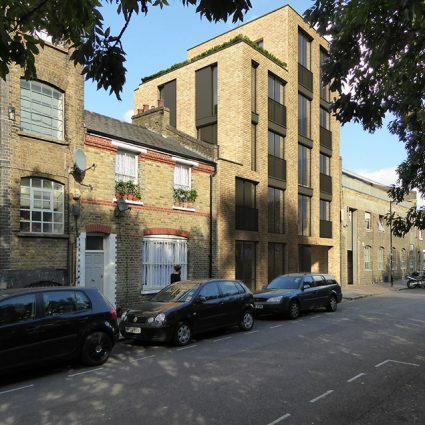 Massing, fenestration and internal layouts were developed iteratively in collaboration with the design officers at Tower Hamlets planning to balance competing needs for daylighting, views and privacy on this unusually constricted site.